Get your TSAE Event App! We’re excited to announce that once again, TSAE has worked with Gather Digital to provide a mobile application for New Ideas. 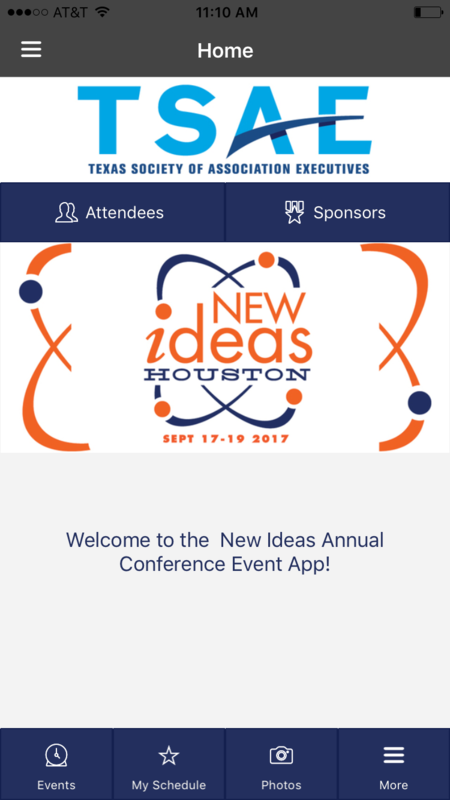 You can use the app to customize your schedule, see a list of attendees, access session handouts and presentations, learn more about our sponsors, get up-to-the-minute information, and more. You can also upload photos directly into the app to share with attendees and start or join in conference conversations on the discussion board! iPhone and iPad users: search “TSAE Mobile Event App" on the Apple App Store. Android users: search “TSAE Mobile Event App" on the Google Play Store. Logging into the App to update your profile and message attendees: Registration is not required to use the app, but logging in will improve your experience and allow you to update your profile, add a photo, and message fellow attendees. Click "Login" when you open the app and sign in using your registration email and “newideas” for the password (all lowercase). Already have the TSAE Mobile Events App? Make sure to visit your app store and download the latest version. Thanks to our sponsor Gather Digital for providing our app.